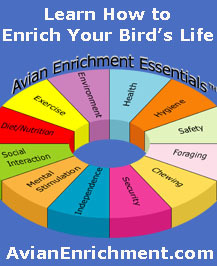 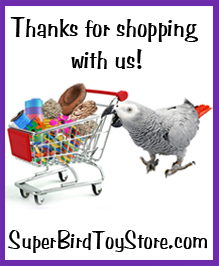 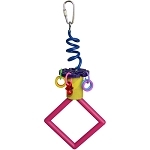 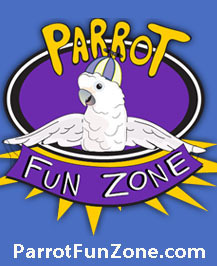 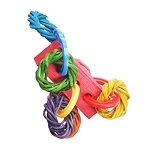 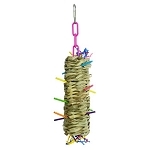 7.5 x 6 x 1 "
The Swing-a-ma-jig bird toy is a great little swing for your little bird. 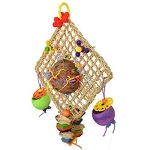 The plastic planks that form the top of the swing contain several holes from which there are fun to beak porcupine balls and pacifier beads. 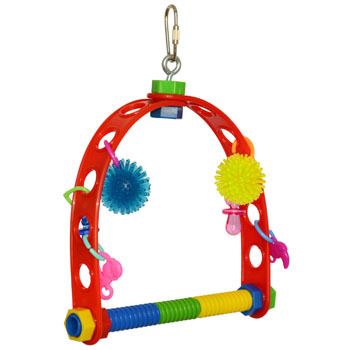 Use these handy holes to customize this swing with your birds favorite destructible toy parts and keep refilling it as necessary. 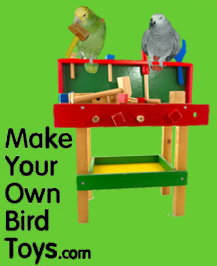 I like the fact I can easily clean this swing and the holes on the side make it convenient to add new parts for my birds to chew.